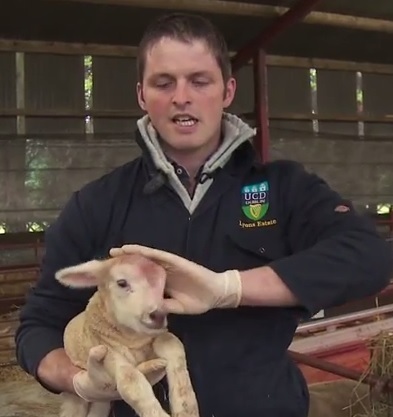 UCD has just released a great video of the lambing at Lyons Research Farm. 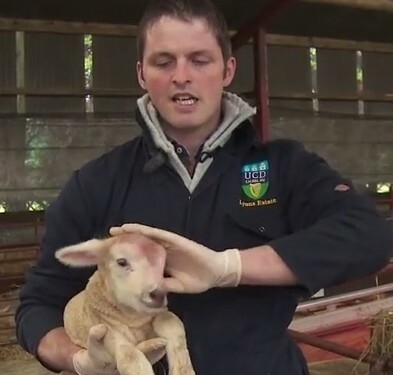 Dr Tommy Boland takes viewers into the main lambing shed, where UCD ag students are put to work with the ewes and lambs. Tommy explains that the UCD Lyons system is a little different to the normal commercial lambing system, as it synchronises its ewes using hormones to ensure that as many ewes as possible lamb down at the one time. The research farm supports the undergraduates at UCD and research students in the School of Agriculture. One of its major roles is that students can carry out research for Masters and PhD papers. Students from right across the world get the opportunity to work on the farm, according to Tommy, and forms a very important part of their agricultural education. UCD Lyons Research Farm, which is part of the original Lyons Estate, is located adjacent to the village of Newcastle in Co Kildare. Lyons Estate was originally purchased by UCD in 1963. The estate consisted of approximately 1,200 acres including Lyons House. The house itself was formerly the seat of Lord Cloncurry and is a period house of national importance.